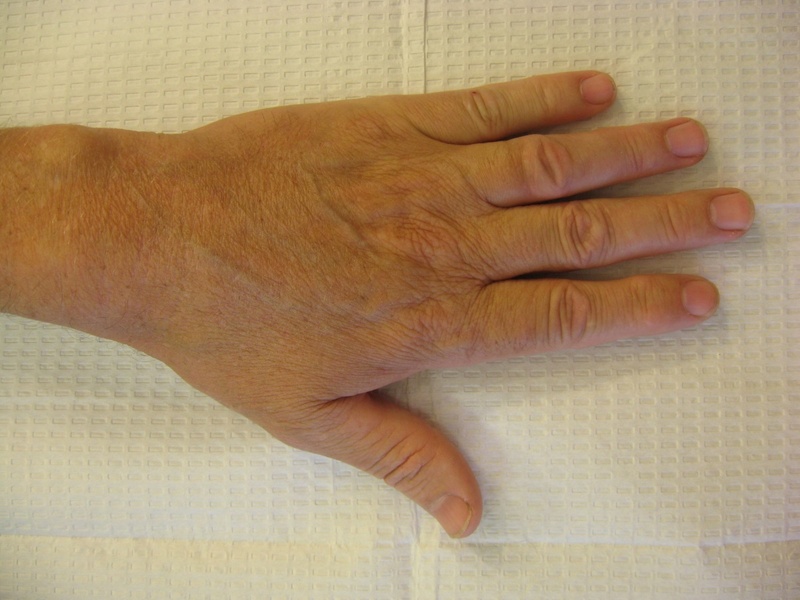 There is no simple, consistently effective treatment for proximal interphalangeal joint flexion contractures, in large part because of the complexity of normal forces and the diversity of structural changes which can occur with disease. 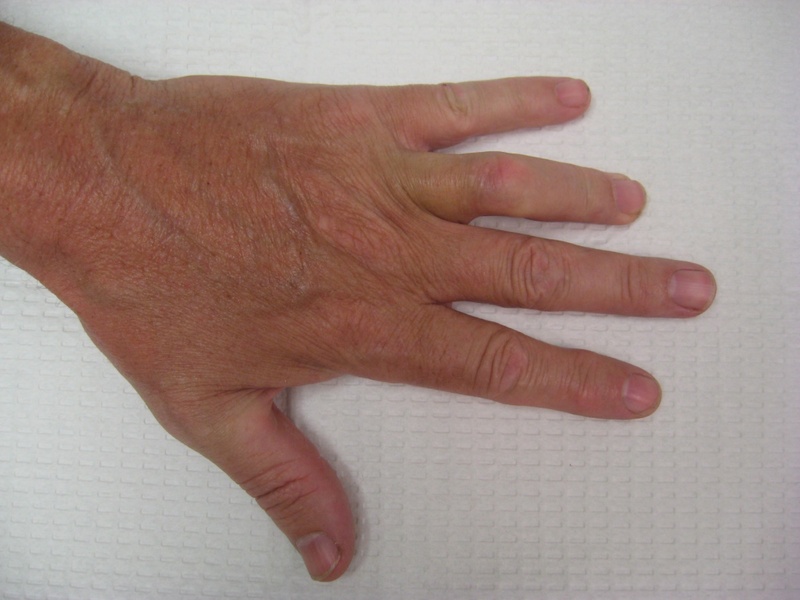 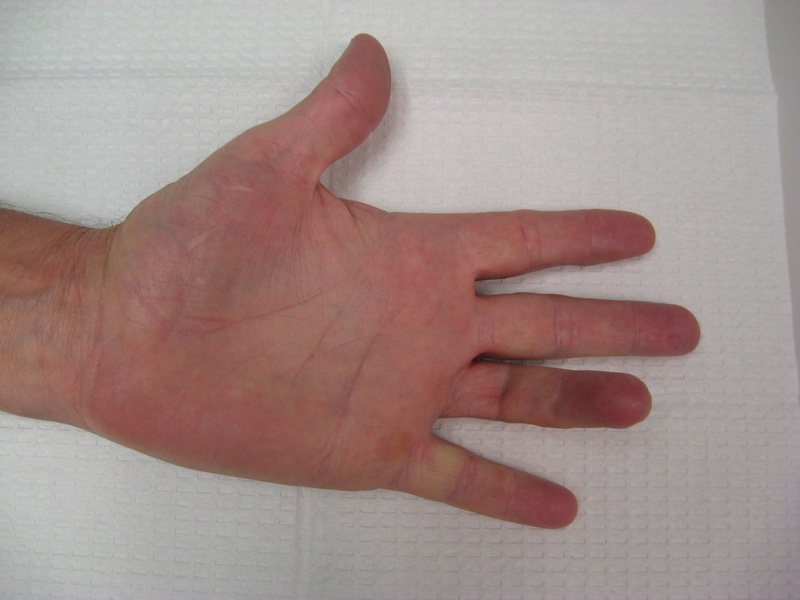 Isolated PIP contractures due to Dupuytren's contracture are especially treatment resistant, particularly if associated with MCP hyperextension. One approach for PIP flexion contracture due to Dupuytren's disease is percutaneous release of the Dupuytren's cord. 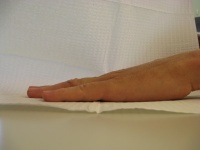 An example is presented here. 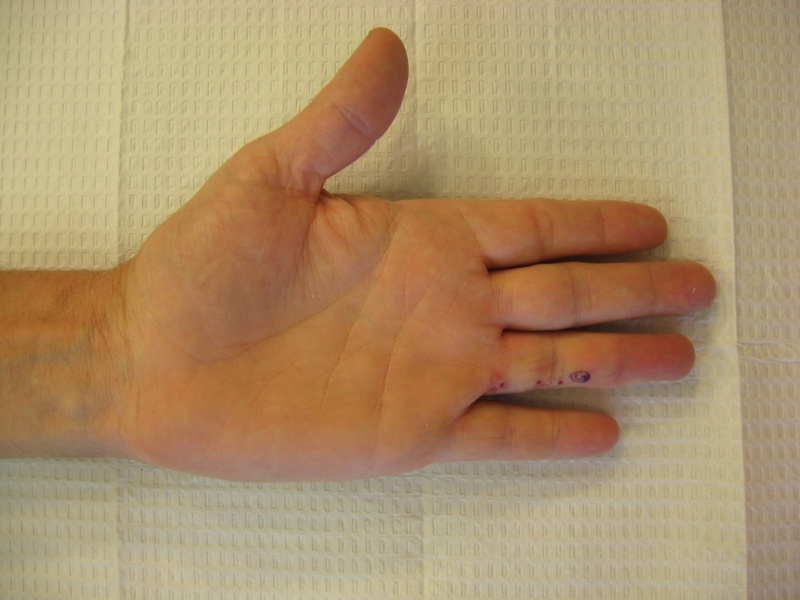 Isolated ring finger PIP flexion contracture associated with an isolated ulnar lateral cord. 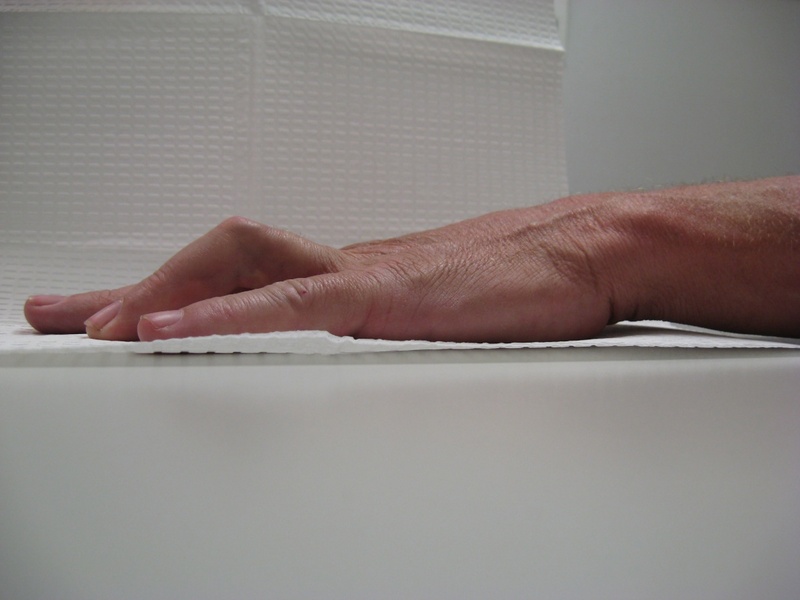 These is full passive hyperextension of the MCP joint, with some active hyperextension during normal use. 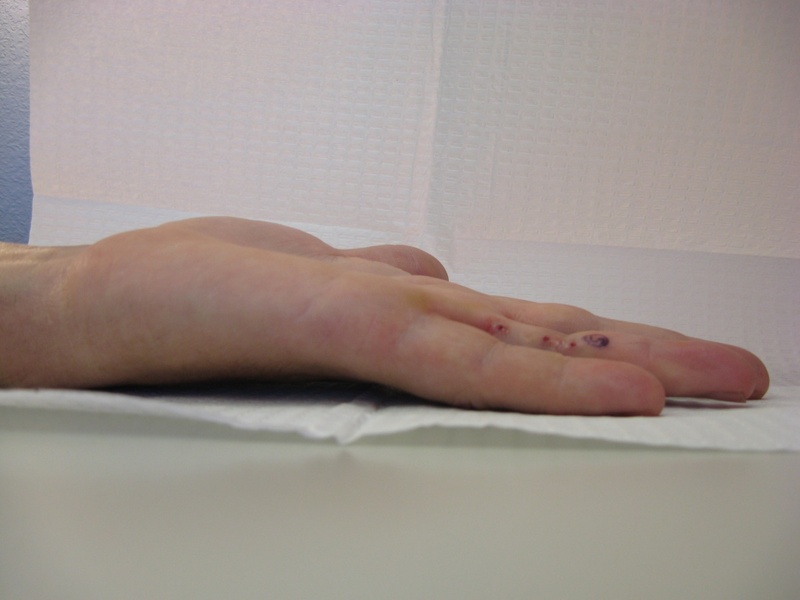 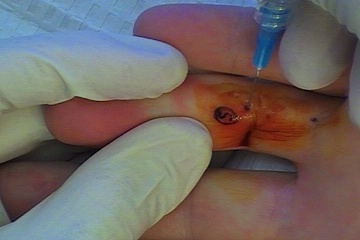 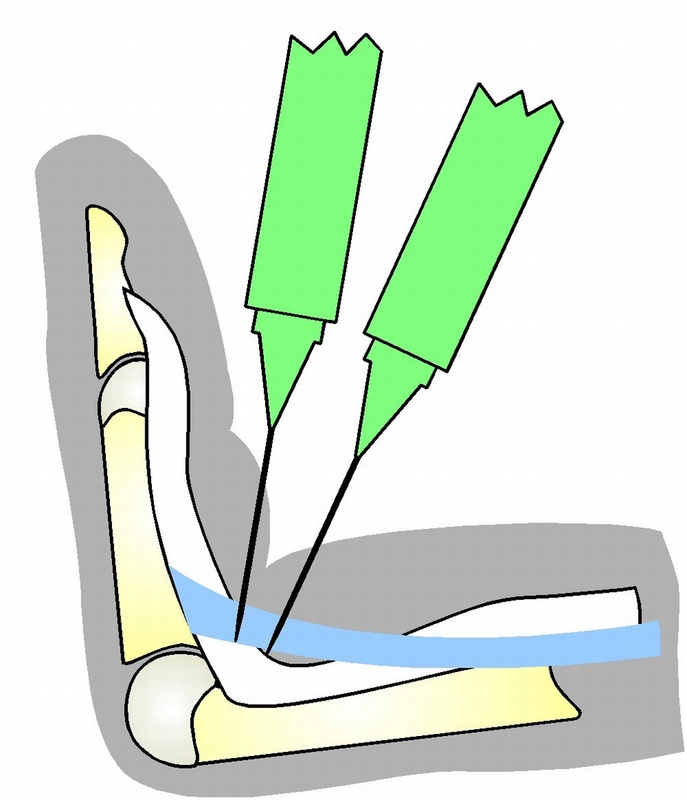 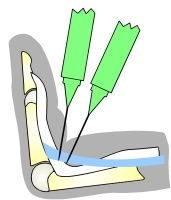 The cord can be palpated and released proximal and distal to the PIP flexion crease.